WorkSpace Garage Cabinets are available in 20 attractive mix-and-match color combinations. So you're sure to find something to satisfy your taste and decor. Cabinet doors and drawer fronts are available in your choice of five Powder Coated colors. And the powder coated finish is much more than just a color. It also provides a smooth, seamless, and protective coating to the cabinet parts you'll use the most... the doors and drawers. Cabinet boxes (top, bottom, sides, backs, and shelves) are available in your choice of four melamine colors. 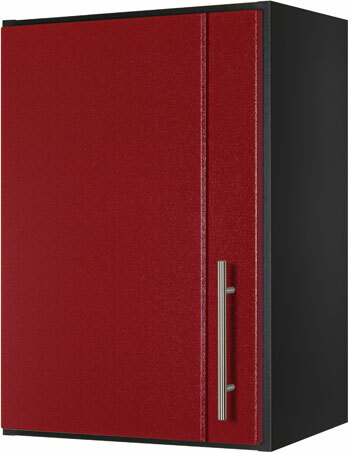 You can choose the box color and the door color combination that works best for your garage cabinets! All of the possible combinations of box colors and door colors are shown to the right. Take a look at these garage makeovers for inspiration. Cabinet boxes (top, bottom, sides, back rails, and shelves) are available in your choice of four melamine colors. 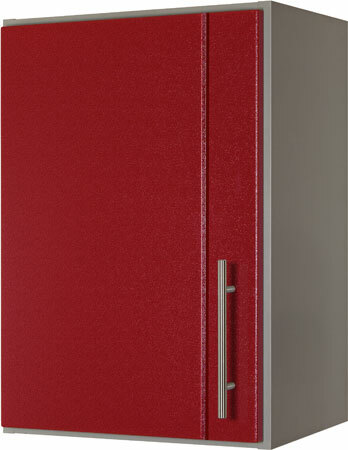 So, you get to choose the box color the door color that works best for you! All of the possible combinations of box colors and door colors are shown to the right.